MarketingPlanner.io's new reporting feature offers actionable marketing intelligence. Discover marketing trends, marketing budgets, and popular marketing methods. In January of 2017, Studio Hyperset launched its interactive marketing plan tool: MarketingPlanner.io. Free and easy-to-use, this tool allows users to build, enhance, and optimize their organizations’ marketing plans. Since its release, dozens of visitors have used the tool to create marketing plans, and this activity generates a good deal of important aggregate data. This data includes hard-to-find, actionable marketing intelligence focused on marketing trends, marketing budgets, and popular marketing methods. 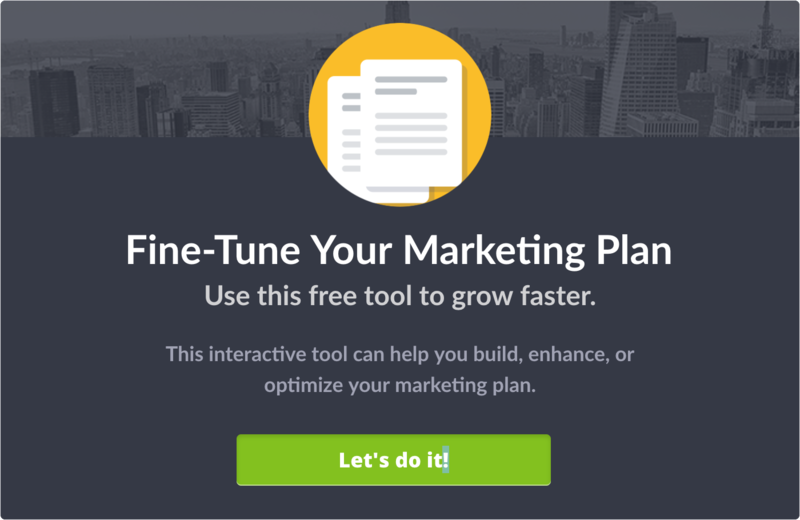 Each month, we’ll be posting an update to the MarketingPlanner.io blog. This update will contain aggregate data about the ways in which users engaged with the marketing plan tool during the previous month. In March, for example, 131 visitors from 51 cities around the world had average marketing budgets of $81,333 and planned to spend 6% of their total revenue on marketing. In time, this data will allow us to publish annual reports and track marketing trends, marketing budgets, and popular marketing methods year-over year. If you’re interested in the most popular forms of marketing and the average budget for each type, check out the March report using the button below. We hope this marketing plan report will be a valuable source of marketing intelligence for anyone interested in marketing data. MarketingPlanner.io can help you build, enhance, or optimize your organization’s marketing plan. It’s free and easy to use, and it offers users the ability to set a custom marketing plan budget and select from a diverse menu of marketing initiatives. These include traditional mass media options (such as radio and television ads) and progressive online, content-based options (such as podcasting, ebooks, and infographics). To learn more about our cost formula and effectiveness scores as well as the resources we used to frame the tool, please visit the marketing plan’s “Methodology & Resources” section. You can also help us fine-tune the effectiveness scores by taking our survey.